The Crimean War (1853-1856) was the first photographed large war (between France, England and the Ottoman Empire against Russia). It is considered to be the first “modern” conflict using new weapons and techniques. 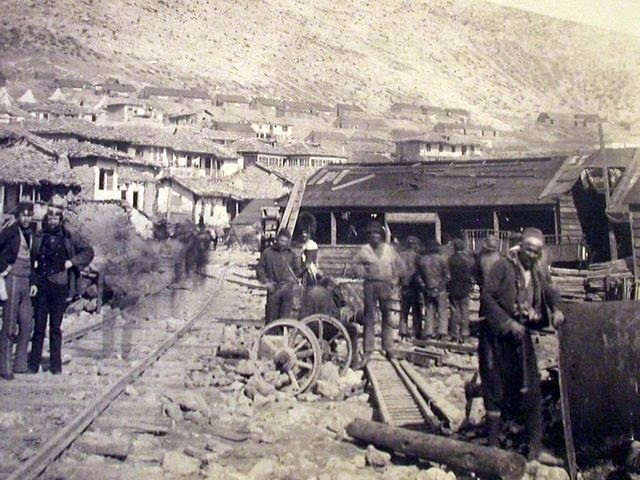 The photo depicts the landing place, with railway stores, at the town of Balaklava, near the harbor (by Roger Fenton). What is Europe (Turkey member EU)?